On your Accounts Screen (the page you land after launching the app), right below your account cards, there will be a row with navigation buttons. Tap on the Send Button to be taken to the Send screen. You will be asked to provide the type of token, the address of the person you'd like to transfer tokens to, the amount you would like to send and optionally a description. You may start by selecting a token. Then, you can fill the address in (label "to") either by typing, pasting a previously copied address or tapping on the QRCode button to be directed to a screen where you can scan someone's address code. Finally, an amount form is available for you to provide the amount you would like to send. After you submit the data you will be taken to a screen where you can review the transaction you want to make before proceeding. 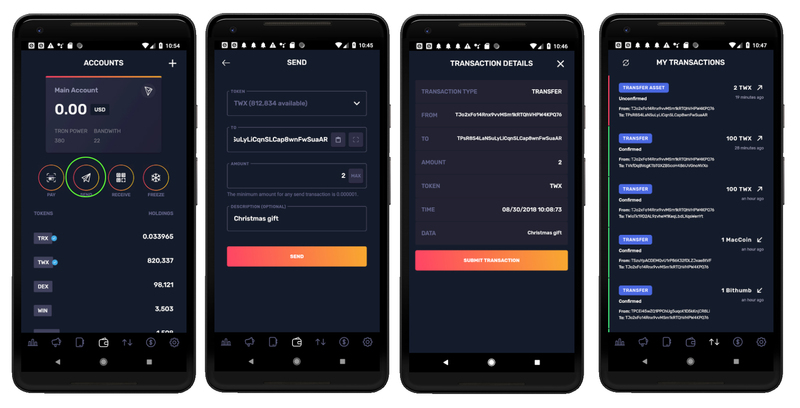 Once you are confident the information is correct, tap on the SEND button, confirm the transaction by tapping on the "Submit Transaction" button and verifying your PIN and you will finally be redirected to the transactions Screen where you can keep tabs on all your operations within TronWallet. 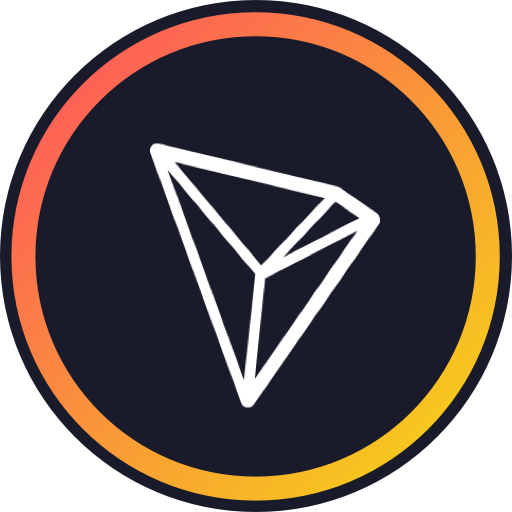 If your transaction appears unconfirmed, this means it is being synchronized with Tronscan's network and it should be confirmed shortly.